"3901 North Broadway. 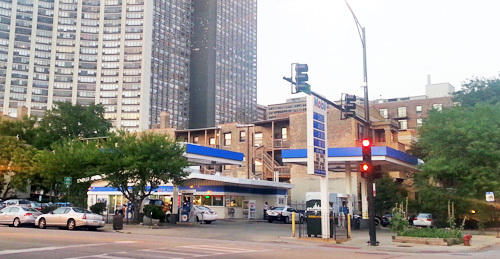 East Lake View Neighbors reviewed and approved a new proposal for the former gas station located at the corner of N. Broadway & W. Sheridan (close to Gill Park) on February 9. This development is expected to cost over $20M. Click here to review the plans. Next step is for this to go before the 46th Ward Zoning & Development Committee on February 29. If you do not know who your representative is on this committee, please call the 46th Ward Office. Your representative needs to hear from you." 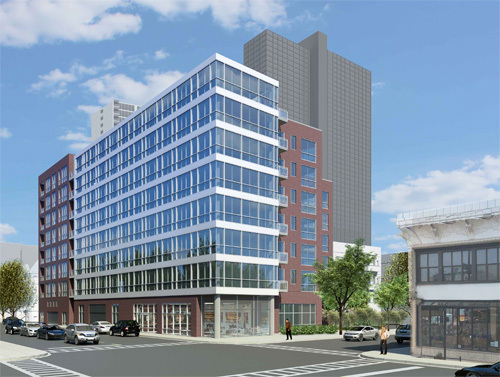 At previous meetings, the 46th Ward's Zoning & Development Committee objected to the 18-story and 15-story heights of developments proposed by Sedgwick Properties, not wanting the building to exceed the height of the former Hotel Chateau across the street. This proposed building is eight stories tall and is being presented by Vermilion Development. For detailed information and renderings, go to the Zoning page of the 46th Ward website and click on the links for this property.